Exergaming – Does It Work? Many modern video game consoles offer exercising games that supposedly help keep you in shape – ideal for those who want to get fit at home, right? But do they really work and get you fitter? Being more the PC guy, I have never been a big fan of video game consoles, but when a couple of years ago Nintendo’s Wii made its debut, I was sold. Finally a company that didn’t try to sell me their latest machine with the help of technical specs, but through simplicity and pure fun. Even when it was released the Wii wasn’t the most up-to-date console out there, yet that didn’t take away from it. Especially because it did have one technological innovation that together with its ease-of-use truly made it stand out: a nifty controller (“Wiimote”) that was able to sense motion, which was taken advantage of in several games. One of them, for example, had you play tennis by swinging it similarly to a racket, another let you play golf by holding the controller like a golf club. These could be quite exhausting and I still remember that at one point I was actually close to developing a tennis elbow. The Wii’s active style of gaming was and is popular across generations. Then Nintendo took things even further by introducing the “Balance Board.” This white rectangle much resembled a bathroom scale, but was able to sense pressure and where you put your center of balance. Accompanied by the “Wii Fit” software, it invited you to do yoga, strength training, aerobics, snowboarding and what have you. When it came to being physically active in front of the TV, this simply was it. There had been previous attempts to get video game players to do more than sit on the couch, but none were as successful as the Wii. For the public, the Wii and its board were what brought “exergaming” (an amalgamation of “exercise” and “gaming”) into the limelight. Not to be outdone, Nintendo’s competitors Microsoft and Sony soon introduced similar concepts for their consoles, but the question of course always was: do all these gadgets really do something for your health and fitness? We now got at least one scientific answer from researchers. In a joint project between the University of Western Australia and the UK’s John Moores and Swansea University they had 15 children between 9 and 11 years of age do 15 minutes each of high intensity exergaming, low intensity exergaming and a graded exercise test on a treadmill. On each they measured energy expenditure and vascular response (how much blood was transported through the cardiovascular system). 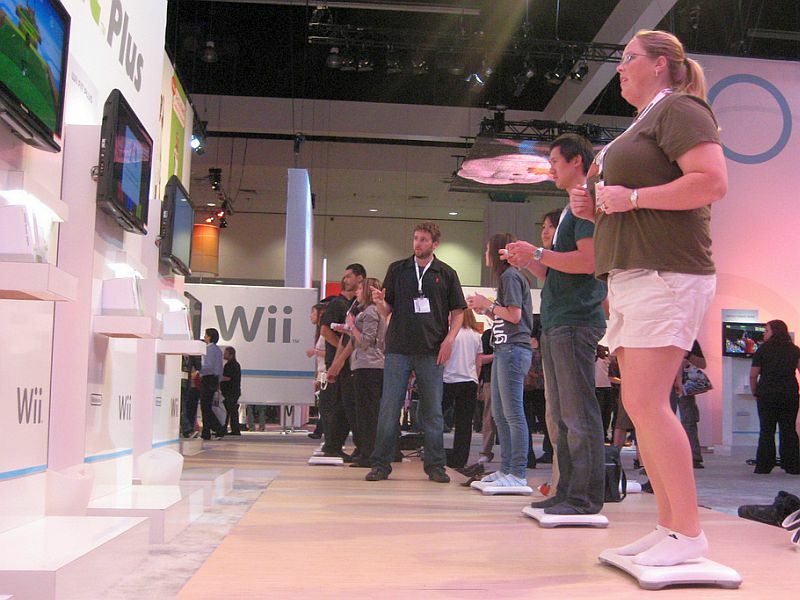 The Wii’s Balance Board demonstrated during electronic gaming expo E3. So how did exergaming stack up? The results showed that high intensity exergaming burns about as many calories as moderate intensity exercise, while low intensity exergaming resulted in an energy expenditure equivalent to low intensity exercise. There was no effect of low intensity exergaming on cardiovascular health, but high intensity prove useful there as well. So yes, when it comes to doing some fitness at home via exergaming, the good old mantra of “anything is better than nothing” holds true, too. You just have to push yourself a bit. To find out if you really do, what I explained about judging your intensity during old-fashioned cardio works here as well. 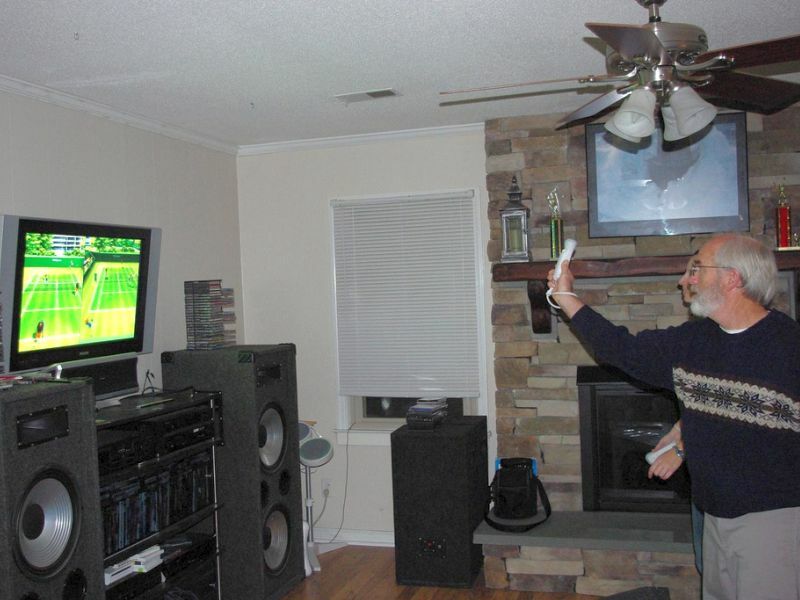 So the only question that remains is: Were you among those that almost threw their Wiimote into the flatscreen TV? Pictures courtesy of “Pop Culture Geek“, “micah420 ” and Ricardo Diaz. I was a WiiFit veteran, and later WiiFit 2 and the EA sports exercise “games.” While I picked up some neat yoga stretches from WiiFit, none of the apps worked as a motivator and I eventually went back to more traditional exercise. It probably does work for some folks, but YMMV. Mine sure did. Yup, exactly. My girlfriend has tons of fun with the aerobic activities, more so than with running or our stationary bike, but thinks that the strength training doesn’t push her a lot. We have the Wii and several of the fitness games – I have tried them and think they are fun but I never feel like I get a true workout (maybe I don’t play hard enough). I tried the jogging “game” and despite me doing my best to mimic real jogging, it never felt that way. It just doesn’t make sense. We have a Wii but don’t have any of the fitness games. We do have a few of the sports games but they don’t require any physical effort. Thanks for the info – I’ve always wondered if they would be worth the investment. It has never been my thing but I think it is a great idea and can definitely see the advantages. Even just the fact that they are not sitting on the couch has to be a good thing!